Grenade is a state of the art weight management system sold in over 130 countries. When used synergistically with a sensible diet and exercise program, Grenade may help you with your lean physique goals. 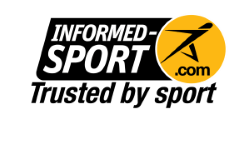 Informed-Sport is a quality assurance programme for sports nutrition products, suppliers to the sports nutrition industry, and supplement manufacturing facilities. Take 2 capsules with water on an empty stomach upon waking. Take 2 capsules 30 minutes prior to lunch with water. To assess tolerance, consume 1 capsule twice per day for the first 7 days. For an explosive workout, take 2 capsules prior to training. Drink at least 8 glasses of water per day. DO NOT EXCEED 4 CAPSULES PER DAY. Only for sale to those over 18yrs. Green Tea, Bitter Orange Powder, Caffeine, Cayenne, Phenylalanine, Green Coffee, Magnesium Stearate, Gelatin Capsule, (Purified Water, Colours: E133, E102 & E129), Titanium Dioxide.